Region: West Mongolia. The Altai Mountain range is one of the three main mountain ranges in Mongolia and the highest peaks in Mongolia are all situated in this range. Altai Tavan Bogd and Tsambagarav Mountains are the highest peaks of the West Altai mountain chain. Mt. Altai Tavan Bogd is located near the northwestern border of Mongolia and is the highest (4,374m) peak in the country. Glaciers and ice are permanent in the Tavan Bogd area. The peak of Mt. Tsambagarav is 4,202m above sea level. 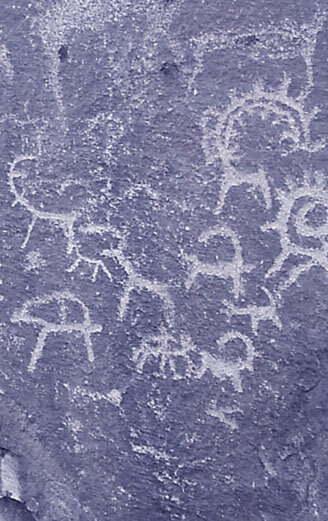 Interesting Sites: Western Mongolian landscapes, snow-covered mountains and nomadic lifestyles of some of Mongolia's ethnic groups such as the Kazakh people. Altai Tavan Bogd and the magnificent natural scenery throughout the Altai mountain chain. You will cross several large crevasses and climb on steep ice (45-60) and hard snow. Arrive in Ulaanbaatar. Lunch at the hotel. Optional city tour, including a visit to the National History Museum and the Zaisan Hill war memorial, with a panoramic view of the city. Dinner and overnight stay at the hotel. Flight to Ulgii, the center of Bayan-Olgii province. Lunch in Ulgii and stop in Ulaan Hus village on the way to Mt. Tavan Bogd by jeep. Overnight stay in tents. Continue the drive to Mt. Tavan Bogd by jeep. Overnight stay in tents. A full day of climbing in the Tavan Bogd area. Trekking to the N1 camp by the side of the Potanin glacier through some moraine and several large crevasses. It will take approximately 6 hours depending on snow conditions. Overnight stay in tent. 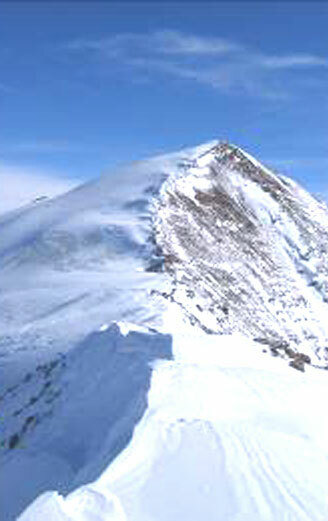 Reach the summit of the Khuiten peak (4374m). The climb will take approximately 4 hours. Descend to camp N1 and return to the base camp. Cross the glacier and climb the chosen peak. Return to base camp. Drive to Ulaan Khus village and camp overnight. Return to Ulgii. Visit the local museum and nomadic Kazakh families to learn more about their lifestyle. Overnight on the banks of the Khovd River. Drive to Tolbo Lake. Overnight in tent. Drive to the summer camp of Altan Tsogt village and Mount Tsamba Garav. 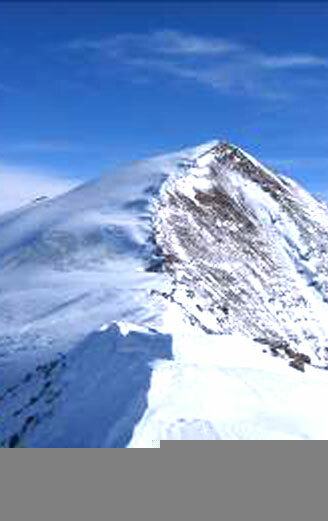 Climb to the peak of Tsamba Garav (4,165m). Drive to Khovd town. Overnight in a hotel. Flight back to Ulaanbaatar. Farewell dinner in a restaurant.